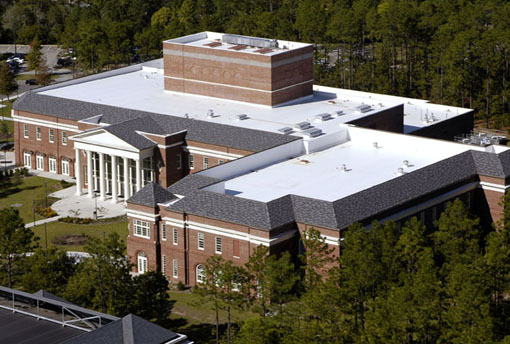 UNCW's Cultural Arts Building is a 104,830 square foot academic and performance facility, housing three of the university's arts-oriented academic disciplines--Art & Art History, Music and Theatre---in a technologically-advanced environment of the highest performance capability and learning potential. 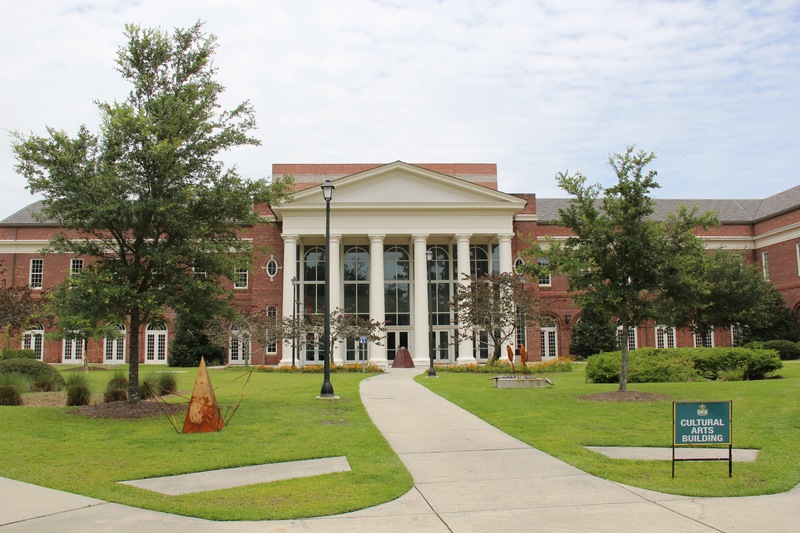 The Cultural Arts Building includes smart classrooms, lecture halls, a shared computer lab with discipline-specific equipment, graphic design and printmaking studios, student rehearsal rooms, recording studios, archive rooms, costume and scene shops, and state-of-the-art performance and exhibition spaces. 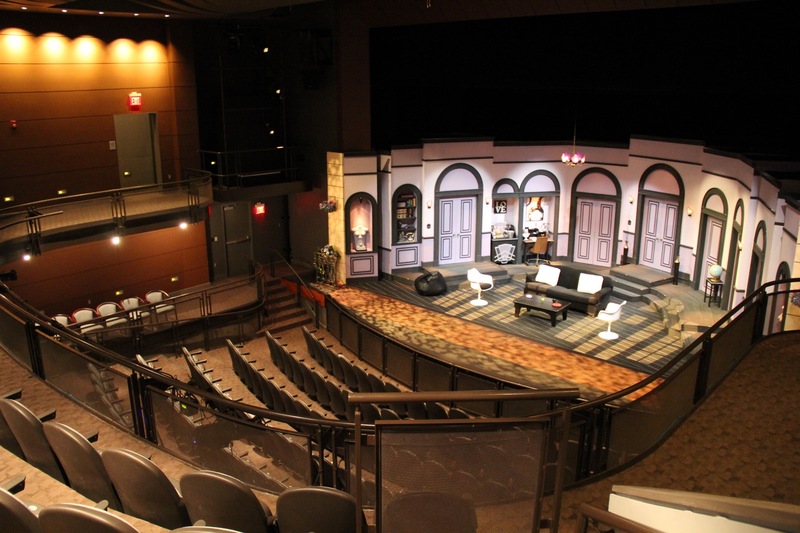 The Mainstage Theatre contains 260 seats; 150 at orchestra level and 110 in the balcony. All seating is unencumbered.. 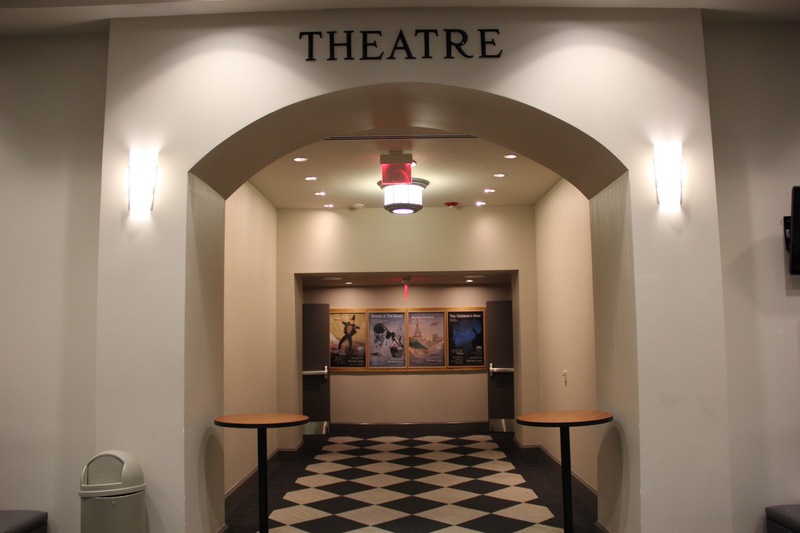 The design of the theatre allows the audience and the actors enjoy a great sense of intimacy. 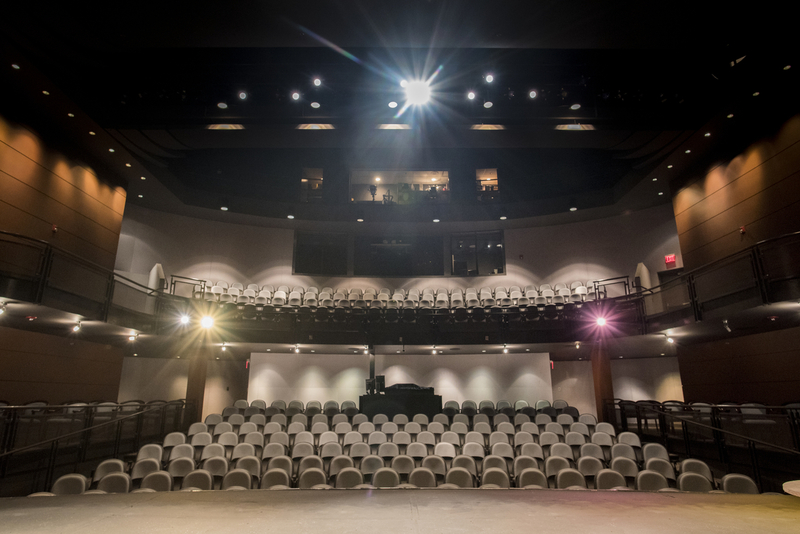 The proscenium opening is 37’ wide and 22’ high. The depth of the stage is approximately 40’. The height of the grid is 60 feet from the stage floor. 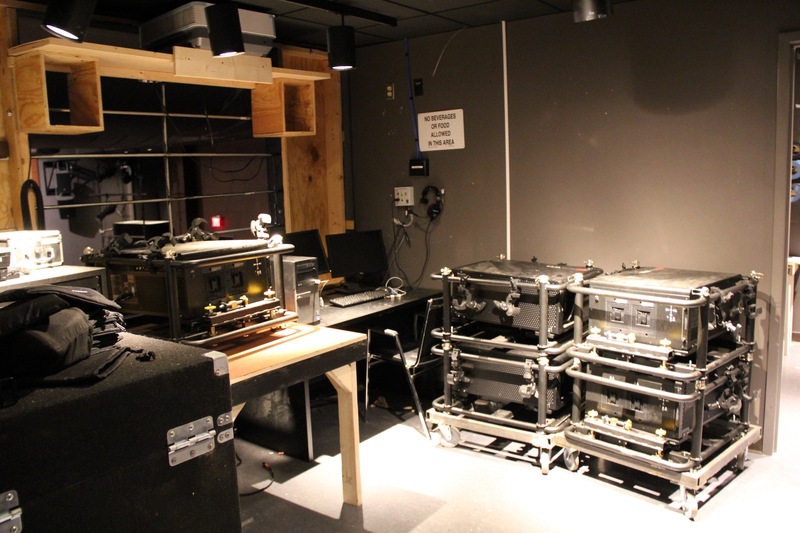 There are 48 manual line sets and chain hoist motors (15 @ 1-ton) plus trussing to allow for flexibility in rigging. 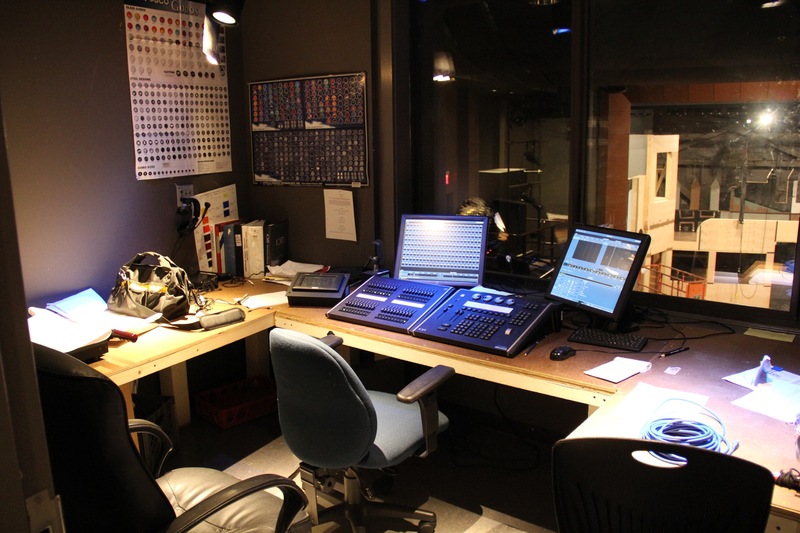 The fly house contains a full set of masking curtains, black and white scrims, rear projection screen and a cyclorama. There is wing space on either side of the proscenium. 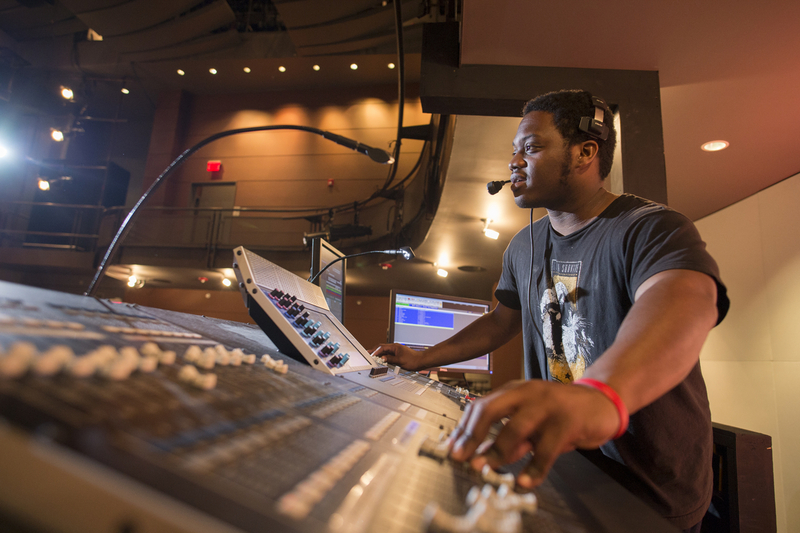 We have two permanent electric positions over the stage with the ability to use multi-cable drops to allow for lighting positions on any line set. There are catwalk positions FOH, as well as box boom positions. The space features totally up-to-date lighting, sound and projection equipment, including: ETC LED, Highend & Vari-light moving fixtures, Barco projectors, Watchout video controllers, Yamaha M7CL Mixer, Electro-Voice and JBL speakers, Sennheiser wireless microphones and Clear-com wireless communications systems. 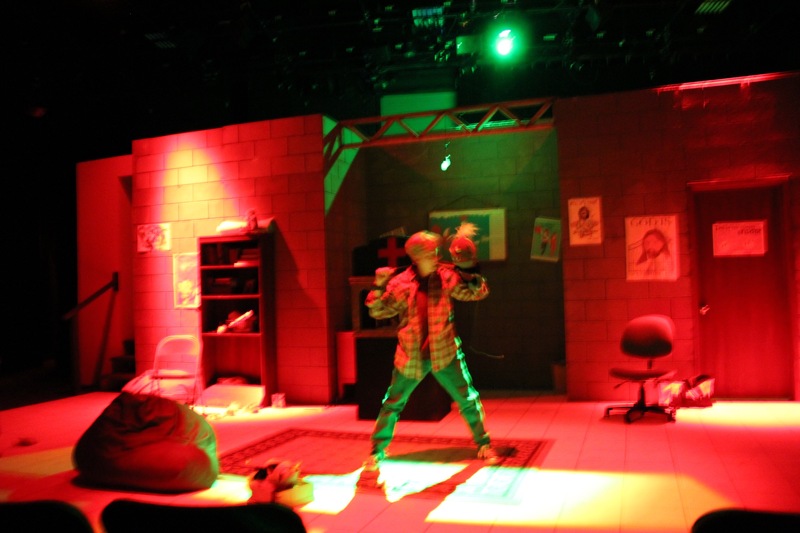 The Blackbox Theatre's is approximately 40’ X 51’ with grid height of 16’. 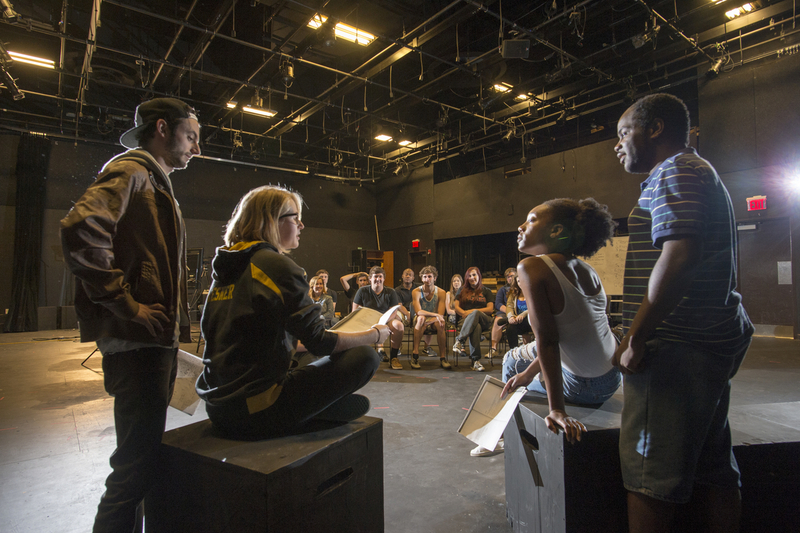 The Blackbox Theatre has flexible seating and risers which can be integrated into each production. 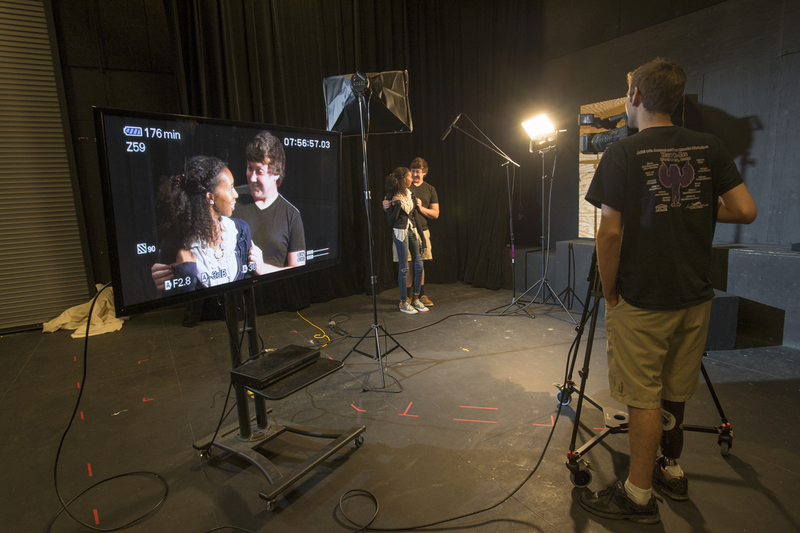 The space is used for student lab productions, Classes: acting, painting, lighting, devising theatre, acting for the camera. 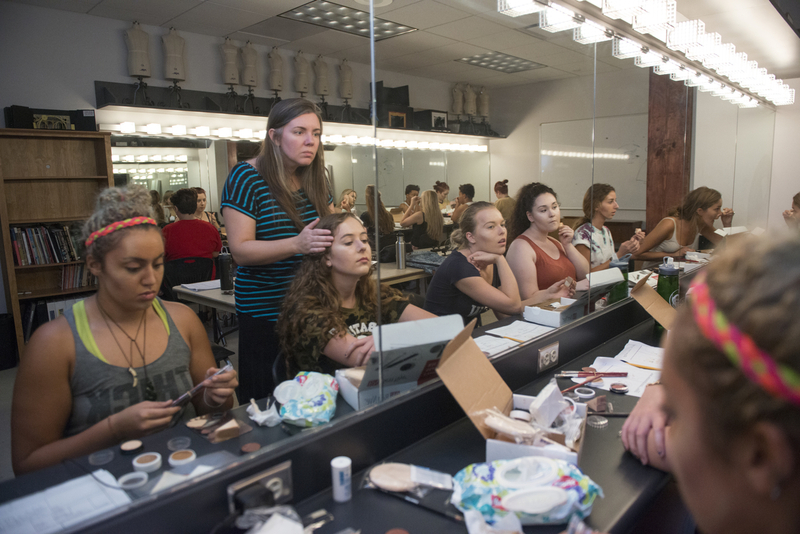 This studio features, mirrors and natural lighting and a sound system. 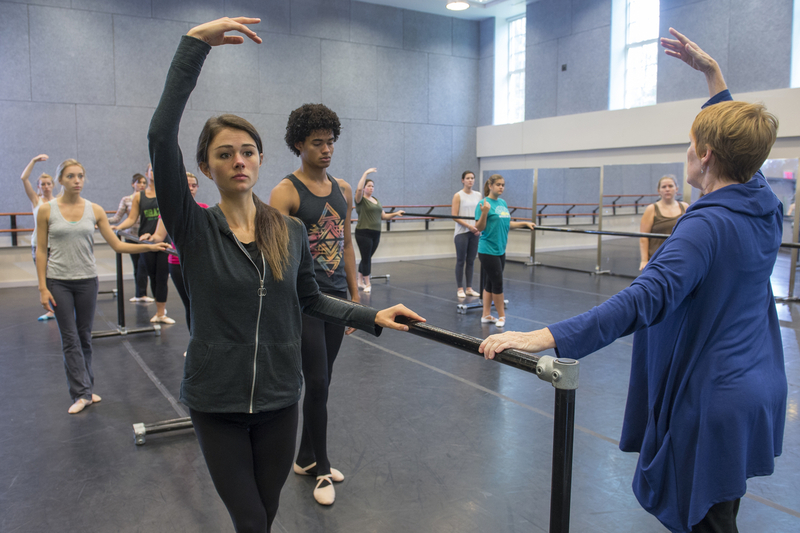 Classes include: dance (modern, ballet), acting, voice and movement, as well as a rehearsal space for our mainstage productions. 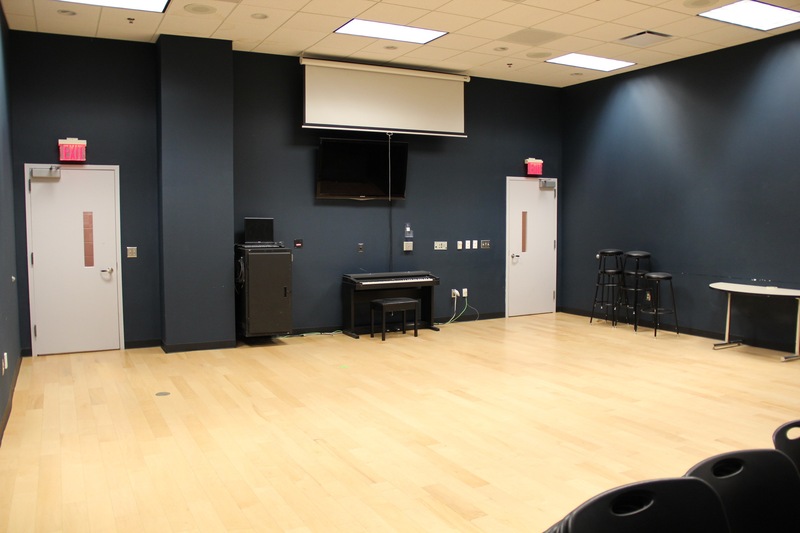 This space has many uses including: acting and improvisation classes, serving as a greenroom for our productions and student rehearsal space. 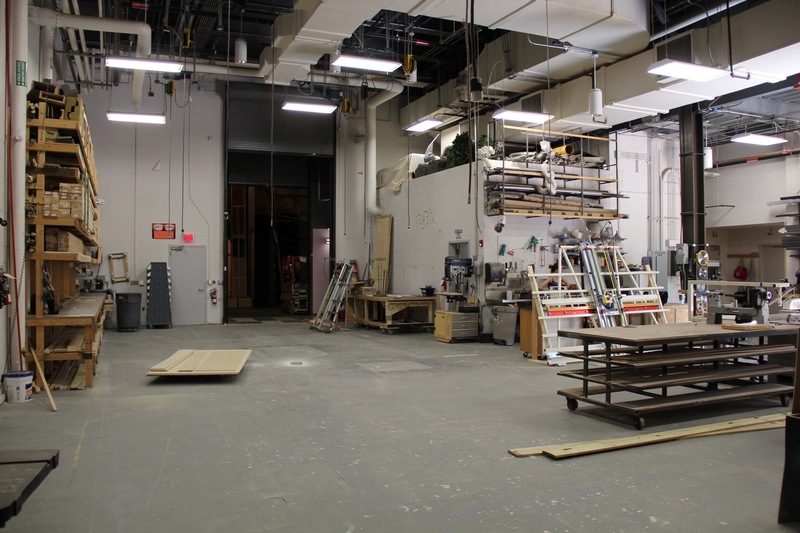 This space is in the planning stages to become a digital design studio. 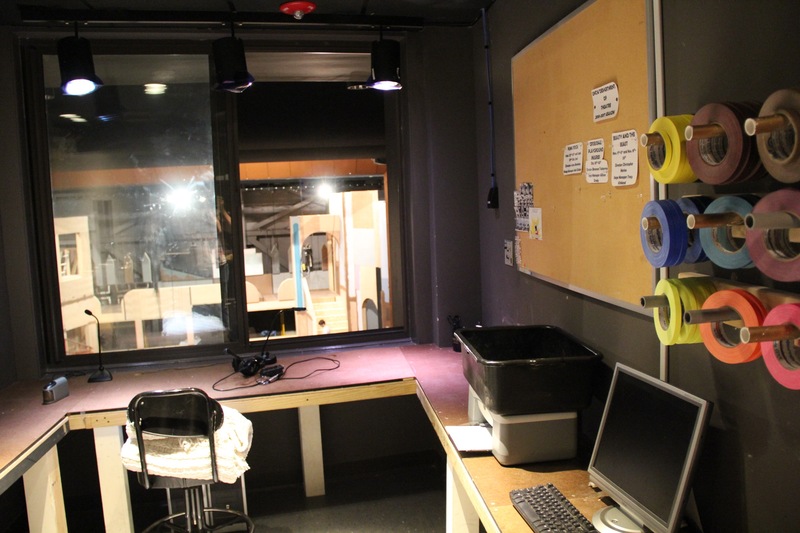 This shop is used to fabricate all of our scenery. 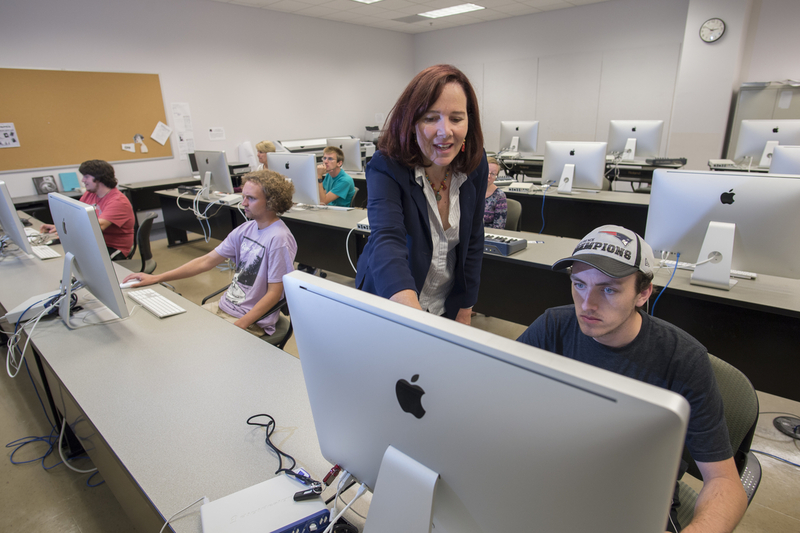 It is a fully functional wood shop that includes a variety of tools, including: Table Saw, Panel Saw, Radial Arm Saw, Band Saws Scroll Saws, Drill presses, Lathe, Miter Saws and a Handibot router. The shop also maintains a variety of metal working tools including: Cold Saw, Flux Core Welders, Metal Band Saws and a Plasma Cutter, The scene shop maintains a full compliment of Pneumatic tools as well as an extensive collection of portable power tools. 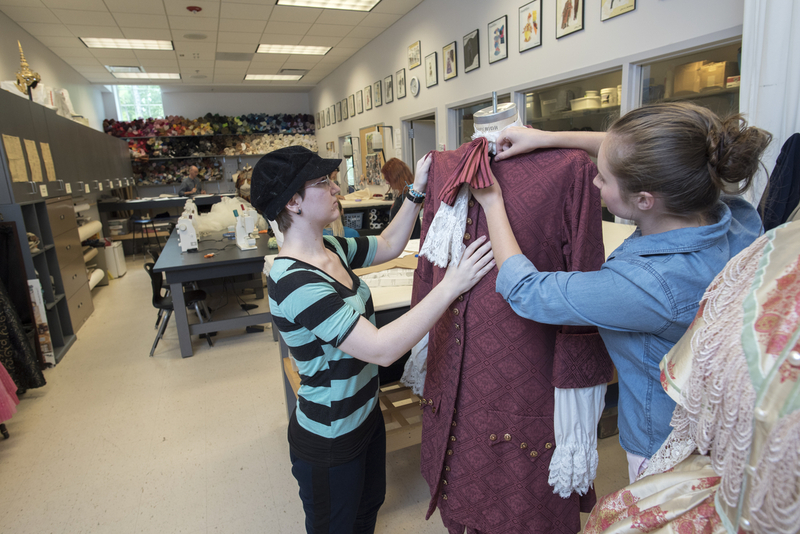 The costume studio is a fully equipped shop inspired by professional equity (union) standards. 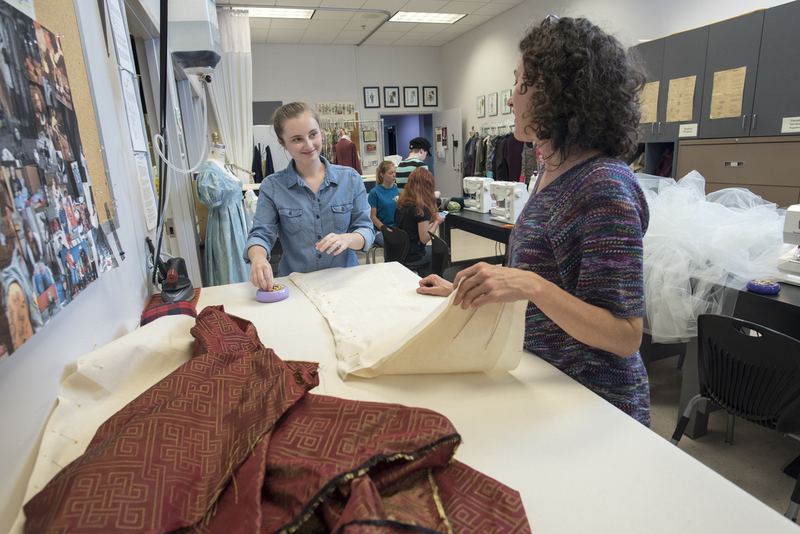 Equipment includes enough sewing machines for all students, sergers, dress forms, cutting tables and a separate well appointed dye room. 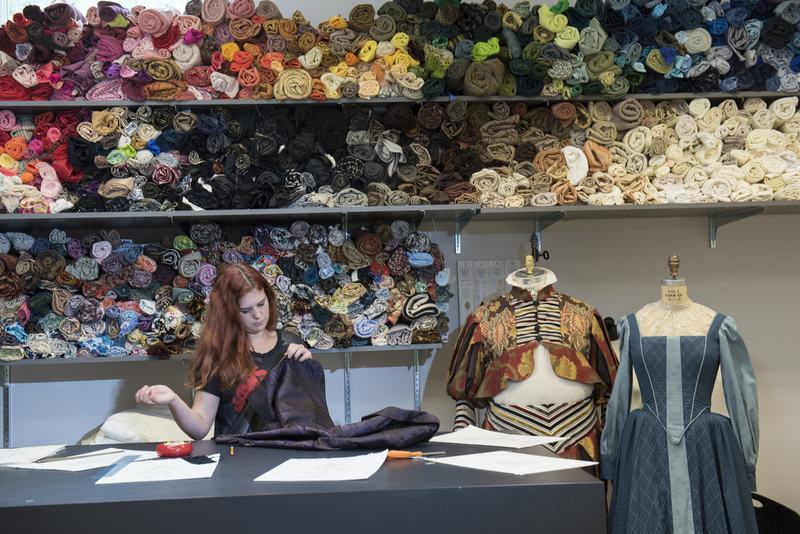 This multi purpose room houses our 3D printer and large format design printer, classes in this room include: design, make-up as well as a space for our production meetings. 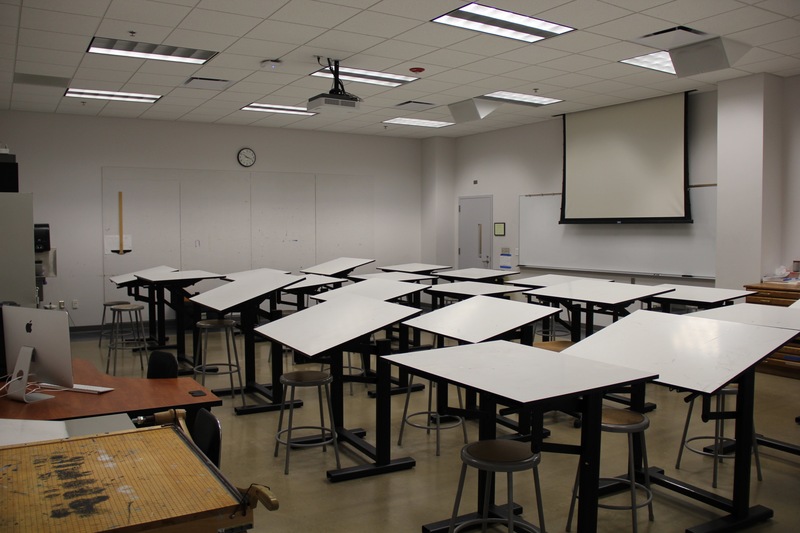 This space shared with the Department of Art is used for a variety of classes, including, drafting, design, theatre management.